In the big, vast world of progressive death metal there’s an ocean full of Opeth copycats – some manage to do their thing quite well, others should better be avoided, a few intentionally take inspiration from the Swedes while others do so unconsciously. However, there’s hardly any band that comes as close to Opeth as PIAH MATER with their second album „The Wandering Daughter“. 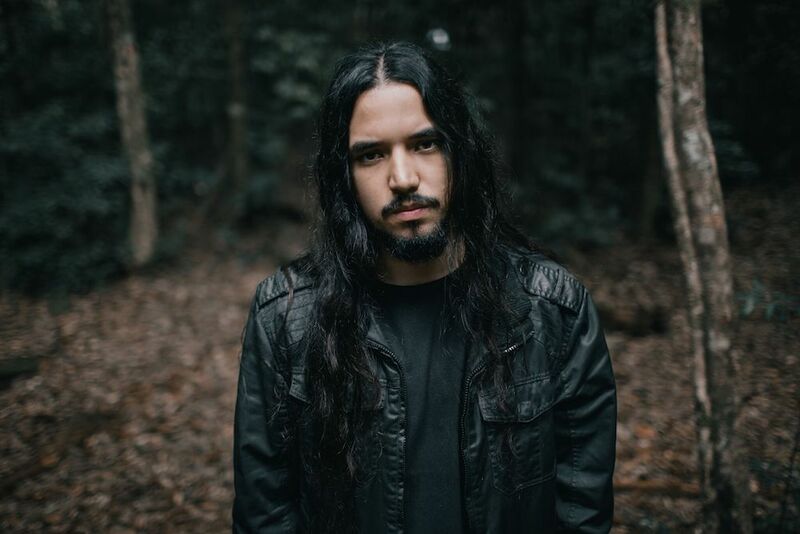 In the following interview with mastermind Luiz Felipe Netto you’ll learn more about the origin of the similarities to records like „Blackwater Park“, the cryptical lyrics as well as why Morbid Angel’s „Altars Of Madness“ is still unsurpassed. As PIAH MATER you play mostly progressive death metal. What inspired you to play this particular style of music? I think it’s a very liberating scope to work with. Much of my interests in music can be easily incorporated in this type of sound without coming across as forced or unfitting. The heavy dissonant riffs, the melodic passages, the acoustic guitar work, etc… everything goes into the melting pot that is this band. In my opinion there’s a lot of similarities between your music and that of Opeth and Ne Obliviscaris. Would you agree with that or rather not? I haven’t really heard Ne Obliviscaris to be honest with you. But I’m aware that that is a name that gets thrown around a lot when media outlets want to situate their readers about our sound. As far as Opeth goes, I think the comparisons are more due to the fact that both bands share several common influences (the prog rock acts from the 70’s and the extreme metal bands from the early 90’s) and express those influences in a similar fashion (with compositions overlapping these different genres across a generally 10-minute-plus song). 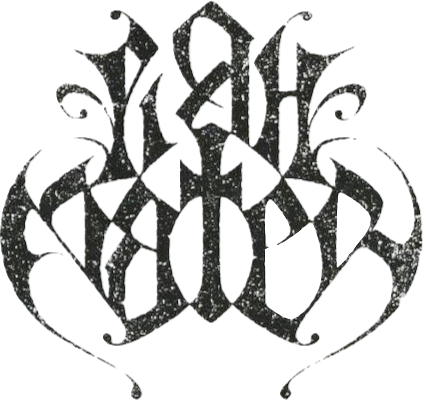 In my view, this axis of influences is more responsible for the similitude between the two bands then us being “worshippers” of the Opeth sound – a band we wholeheartedly love – but that is not what we envisioned the concept behind PIAH MATER to be. Which other bands and musicians had an impact on you as artists? I was lured to the heavy side of music thanks mostly to Brazilian bands such as Angra, Shaman and Tuatha De Dannan. Those were big influences to me coming up in the scene back in the early 2000s. Upon hearing (the now classics) „Temple Of Shadows“ and „Ritual“, I knew I wanted that life for myself. Since then, many things have changed of course. One’s personal taste is supposed to be shaped throughout their adult lives. But I still hold those records to the very highest standards of quality to this day. Coming across Dream Theater was a huge deal for me. I basically spent one whole year almost exclusively listening to them as I scavenged through their discography, amazed at the level of musicianship displayed but also enthralled by the unique atmosphere they created around their albums – something that has been rather missing in their most recent efforts. Some time later bands like Porcupine Tree and Pain Of Salvation also made me rethink what I thought I knew about music. Then came the dark. Bands like Katatonia, Enslaved, Opeth and Ihsahn (whom I consider my personal mentor although he doesn’t know that) gave me a framework, so to speak, and through that I found the best way I knew to express myself as a musician. Talking about this particular moment in time, I am absolutely fascinated with Steely Dan right now – a recent discovery of mine despite them being one of the most successful musical acts of the 20th century. Their „Aja“ album is slowly creeping up my list of best albums ever made. Does it bother you when someone compares your music to another band or do you mostly take that as a compliment? It tends to be self evident when a comparison is meant as a compliment and when it’s mean-spirited and cast to discredit your work. Either way, I always try not to take these things personally nor allow that to bother me on a personal level. How important is it to you to create something totally unique with your music? Style is something that takes time to be consolidated. When you think about it, it usually takes a band three or four albums until they find what is the thing that sets them apart from everyone else. To be able to single out that creative spark requires patience. And truth is, it only gets harder with time, because with each passing year the possibilites of what could be invented only get flimsier and those walls keep closing in on you as an artist. It’s not easy to reinvent heavy music in 2018. That’s why you see more and more new bands going for what they know works and not willing to stray too far off that margin. In hindsight, I feel that we should have done a better job at making sure we were distancing ourselves enough from these other artists that you (and many others in the past) have mentioned, especially Opeth. That’s something we are surely going to be more mindful of for future releases. While being increasingly difficult to be, as you’ve said, “totally unique“ in the modern age, it feels to me that one should always strive towards that goal, even if the price is falling short on the public’s expectations. Even though you’re still a rather young band, you already seem to be just as professional as much bigger bands. How did you manage to avoid doing typical beginner‘s mistakes? Thank you for saying this. But in reality we made many of the so-called beginner’s mistakes. I don’t know any band that didn’t. But it’s comforting to know that it doesn’t come across as so apparent. Maybe the reason for it is that our motto in this band has always been „to act like the band that we want to become”, and that envolves a more professional outlook on how we present ourselves to the world. So for instance, we knew from day one that we were not going to put out material just for the sake of creating social media content. We knew that we might take time to release music but that when we do it it will be in our own terms and only when we feel that the recordings are the best representation of the songs. And I could go on and on, but to make it short, we knew that we were not only a small band but one that would probably stay small for a long, long time. And despite all that, we had to think big. Otherwise it wouldn’t make sense to have it as an operating machine at all. But as I said, mistakes will always be a part of the process. The important thing is to learn something from them. Had you already gathered experience as musicians before you started PIAH MATER? Igor and I started the band when we were teenagers and, although we had played with other people before, none of that was as serious nor as an integral part of who we are as persons like PIAH MATER eventually grew up to be. How exactly do you approach your songwriting? What do you begin with? It usually starts with a riff and then we go from there. Wherever it leads us to. One thing that we don’t do is put together pieces of music that were written separately as if assembling a puzzle purposefully intended to be complicated. What you hear in the records is a product of one idea leading up to the next and so forth until we feel that we’ve told the story that we needed to tell. „The Wandering Daughter“ is already your second album. In which aspects, do you think, did you progress as musicians since your debut „Memories Of Inexistence“? Going through the experience of writing, producing and recording a first album teaches you one thing or two about the craft of music making. „Memories Of Inexistence“ gave us that opportunity. To make every mistake in the book and then find our ways around it. I’m proud of how it came out eventually, but I understand its shortcomings. On “The Wandering Daughter”, the process was a bit more familiarized, but still there were many aspects of it that were new to us. The drums were tracked live, the bass and keys were outsourced and, overall, there were more than a dozen people involved in the production this time. Much more than the three people that were around when „Memories Of Inexistence“ was being tracked in my small home studio. Those were very different experiences in their own right and both of them taught us important lessons about us as musicians. The lyrics of „The Wandering Daughter“ seem a bit cryptical to me. What is the album about thematically? Is there a concept that ties the songs together? „Cryptical“ is the word. The type of lyrics I’d rather write usually revolve around the description of eerie sceneries and darker sentiments, mostly based on personal experiences. But I tend to do such in a way that doesn’t make anything too obvious. I’m no fan of giving away too much. There has to be mystery. So I shape the lyrics to be a mirror that reflects whatever is projected at them. Everybody will have a different perspective upon reading them depending on their own past experiences and whatever crosses they might bear. 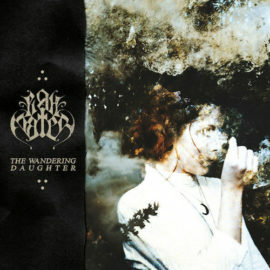 As far as concept goes, “The Wandering Daughter“ is an album that happens outside. In the green and moisty wild. It’s about self knowledge. It’s about finding one’s place among nature. About recovering from a devastating loss. And, on a macro-scale, about defining the right balance between progress and preservation. All in all, it’s a very nature-inspired album. Do you think that there‘s a track on you new record that could be viewed as some sort of climax? To me the closing track, “The Meek’s Inheritance”, feels like the climax of the album and it’s probably the one I’m most satisfied with right now. The album was almost named after that song, by the way, such is its importance in the context of the storytelling. In your personal opinion, which of the tracks on „The Wandering Daughter“ is the most difficult to play? It depends on which instrument. But in general, if I had to say one song, it would probably be “Sprung from Weakness”. The album seems to have gained a lot of positive recognition. Did you even get to read a negative review? If so, what did it say? Yes, we are very grateful for the positive feedback we got from the people who heard it. Receiving a ‘thumbs up‘ from publications of the likes of Decibel Magazine and Metal Hammer, among others, is quite humbling to us. But above that, the warmth we get from the people who come to us and take the time to write down their impressions on the album is very satisfying. This human connection is of extreme value to us personally. Regarding bad reviews, they will always be there. We tend to internalize what is constructive and shrug off what’s not. But overall, it’s been somewhat rewarding to keep up with them. We are still a bunch of newcomers in this arena and by getting „peer-reviewed“ we can often learn things about ourselves that we didn’t think of before. But I believe that with time, it will get weary and I’ll eventually just give up on trying to decode what it is that people want or expect from me. We’ll see. You’re currently signed to code666. How did it come to you working with that particular label? Code’s long tradition of working with highly respected bands through the years is what made us write them an email proposing the collaboration. Luckily for us they were interested and we got a positive response less than ten minutes later. A few weeks of sorting out the details went by and, lo and behold, by May 2018 we were a signed band. Thinking about your collaboration with code666, what is the best thing about the label‘s way of working with you? We are a band based in Brazil and, to our understanding, a considerable share of the people interested in our music resides in Europe. Code comes to fill that gap. They are an Italian label with many contacts in the region and their job was to make the music reach as many people as possible within their reach. Considering that we are promoting what could be viewed by some as a „dead format“ in this day and age – that being the physical CD – I think they did a good job at making some noise about it. We are definitely less small now then we used to be. Could you also give us some news about probable live shows? Is there anything planned yet? There are no plans on that end for the immediate future, unfortunately. But everything can change if we receive the right call. Let‘s end our interview by going through our traditional Metal1.info-Brainstorming. What comes to your mind when reading the following terms? President Bolsonaro: It’s winter in Brazil. Brutal death metal: If brutality overshadows musicality then what’s the point? Besides, you can’t get any more brutal than „Altars Of Madness“ and that happened 30 years ago. Bands aiming to surpass that only for the sake of sounding „more brutal“ are like a dog chasing its own tail. Musical Highlight of 2018: Getting to spend ten days in the beautiful countryside of Sweden writing music for a future and yet secret release. PIAH MATER in five years: Only time will tell. Hopefully having at least two more albums added to our discography. Thank you for the opportunity and thanks to the readers for the interest! Hope to talk with you soon. Opeth-Kopien gibt es in der großen, weiten Welt des Progressive Death Metal wie Sand am Meer – einige fahren damit ganz gut, von anderen sollte man lieber die Finger lassen, manche orientieren sich mit Absicht an der Musik der Schweden und wieder andere tun es völlig unbewusst. Kaum einer Band gelingt es jedoch, so dicht zu Opeth aufzuschließen wie PIAH MATER mit ihrem zweiten Album „The Wandering Daughter“. 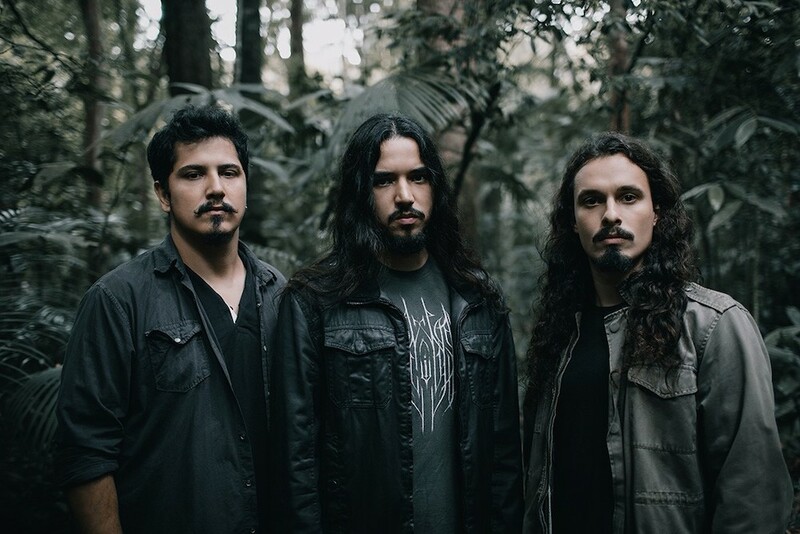 Woher die vielen musikalischen Parallelen zu Alben wie „Blackwater Park“ kommen, was es mit den kryptischen Texten auf sich hat und warum Morbid Angels „Altars Of Madness“ bis heute unerreicht bleibt, erfahrt ihr im Interview mit Mastermind Luiz Felipe Netto. Mit PIAH MATER spielt ihr progressiven Death Metal. Was genau hat euch dazu angespornt, selbst Musik dieser Stilrichtung zu kreieren? Ich denke, es ist eine sehr weitreichende Bandbreite, mit der man arbeiten kann. Ein Großteil meiner Interessen im Bereich Musik kann leicht in diese Art von Klang integriert werden, ohne gezwungen oder unpassend zu wirken. Die schweren, dissonanten Riffs, die melodischen Passagen, die Akustikgitarren, etc…. Alles passt in den Schmelztiegel dieser Band. Meiner Meinung nach hört man bei eurer Musik einige Parallelen zu Opeth und Ne Obliviscaris heraus. Würdest du mir da zustimmen oder siehst du das anders? Ich habe Ne Obliviscaris nie wirklich gehört, um ehrlich zu sein. Aber ich bin mir bewusst, dass das ein Name ist, der oft herumgeworfen wird, wenn Medien ihre Leser über unseren Sound informieren wollen. Was Opeth betrifft, denke ich, dass die Vergleiche eher darauf zurückzuführen sind, dass unser beider Bands mehrere gemeinsame Einflüsse haben (die Prog-Rock-Acts aus den 70ern und die extremen Metal-Bands aus den frühen 90ern) und diese Einflüsse auf ähnliche Weise zum Ausdruck bringen (mithilfe von Kompositionen, in denen sich die verschiedenen Genres überlappen und die über zehn Minuten lange Songs bilden). Meiner Meinung nach ist vor allem diese Achse der Einflüsse für die Ähnlichkeit zwischen den beiden Bands verantwortlich und nicht dass wir den Opeth-Sound so sehr „anbeten“ – obwohl es eine Band ist, die wir von ganzem Herzen lieben – aber das ist nicht das, was wir uns für das Konzept hinter PIAH MATER vorgestellt haben. Welche anderen Bands und Musiker haben euch als Künstler beeinflusst? Ich wurde vor allem von brasilianischen Bands wie Angra, Shaman und Tuatha De Dannan auf die harte Seite der Musik gelockt. Das waren große Einflüsse für mich, als sie in den frühen 2000er Jahren in der Szene auftauchten. Als ich „Temple Of Shadows“ und „Ritual“ (inzwischen Klassikeralben) hörte, wusste ich, dass ich dieses Leben für mich selbst wollte. Seitdem hat sich natürlich vieles geändert. Der persönliche Geschmack soll während des gesamten Erwachsenenlebens geprägt werden. Aber ich sehe diese Platten bis heute nach wie vor als das höchste Qualitätsniveau. Auf Dream Theater zu stoßen, war für mich eine große Sache. Ich verbrachte im Grunde genommen ein ganzes Jahr damit, fast ausschließlich ihre Sachen zu hören, während ich ihre Diskographie durchstöberte, erstaunt über das Niveau der Musikalität, das sie gezeigt haben, aber auch begeistert von der einzigartigen Atmosphäre, die sie um ihre Alben herum geschaffen haben – etwas, das in ihren letzten Veröffentlichungen eher gefehlt hat. Einige Zeit später ließen mich auch Bands wie Porcupine Tree und Pain Of Salvation das, was ich dachte, über Musik zu wissen, überdenken. Dann kamen die düsteren Sachen. Bands wie Katatonia, Enslaved, Opeth und Ihsahn (den ich als meinen persönlichen Mentor betrachte, obwohl er das nicht weiß) gaben mir sozusagen einen Rahmen und dadurch fand ich den besten Weg, wie ich mich als Musiker ausdrücken konnte. Sprechen wir noch über das Hier und Jetzt, ich bin im Moment absolut fasziniert von Steely Dan – einer jüngsten Entdeckung von mir, obwohl es sich dabei um einen der erfolgreichsten musikalischen Acts des 20. Jahrhunderts handelt. Ihr „Aja“-Album schiebt sich langsam in meine Liste der besten Alben, die je veröffentlicht wurden. Stört es dich, wenn man eure Musik mit der von anderen Bands vergleicht oder nimmst du solche Verweise meist als Kompliment? Es ist in der Regel offensichtlich, ob ein Vergleich als Kompliment gemeint ist oder ob er herabwürdigend und dazu gedacht ist, unsere Arbeit zu diskreditieren. So oder so, ich versuche immer, diese Dinge nicht persönlich zu nehmen oder zu erlauben, dass mich das auf einer persönlichen Ebene stört. Wie wichtig ist es dir, mit deiner Musik etwas Einzigartiges zu schaffen? Stil ist etwas, das Zeit braucht, um sich zu konsolidieren. Wenn man darüber nachdenkt, braucht eine Band in der Regel drei oder vier Alben, bis sie herausfindet, was es ist, was sie von allen anderen unterscheidet. Diesen kreativen Funken zu finden, erfordert Geduld. Und die Wahrheit ist, dass es mit der Zeit nur noch schwieriger wird, denn mit jedem Jahr werden die Möglichkeiten dessen, was neu erfunden werden kann, nur noch weniger und diese Wände umschließen dich als Künstler immer mehr. Es ist nicht einfach, harte Musik im Jahr 2018 neu zu erfinden. Deshalb sieht man immer mehr neue Bands, die sich nur für das, was sie kennen, interessieren und nicht bereit sind, zu weit von dieser Linie abzuweichen. Im Nachhinein denke ich, dass wir uns mehr darum bemühen hätten sollen, sicherzustellen, dass wir uns genug von diesen anderen Künstlern distanzieren, die du (und viele andere in der Vergangenheit) in Bezug auf uns erwähnt hast, insbesondere Opeth. Das ist etwas, worauf wir bei zukünftigen Veröffentlichungen sicherlich mehr achten werden. Obwohl es immer schwieriger wird, in der Moderne „völlig einzigartig“ zu sein, empfinde ich es als notwendig, immer auf dieses Ziel hinzuarbeiten, auch wenn der Preis dafür jener ist, dass man die Erwartungen der Öffentlichkeit enttäuscht. Obwohl ihr noch eine recht junge Band seid, macht ihr bereits in sämtlichen Aspekten einen äußerst professionellen Eindruck. Wie habt ihr es geschafft, so früh schon die typischen Anfängerfehler zu umgehen? Danke, dass du das sagst. Aber in Wirklichkeit haben wir viele der sogenannten Anfängerfehler gemacht. Ich kenne keine Band, die das nicht getan hat. Aber es ist beruhigend, zu wissen, dass es bei uns nicht so offensichtlich ist. Vielleicht liegt das daran, dass unser Motto in dieser Band immer darin bestand, „wie die Band zu handeln, die wir werden wollen“, und das beinhaltet eine professionelle Sichtweise darauf, wie wir uns der Welt präsentieren. So wussten wir zum Beispiel vom ersten Tag an, dass wir kein Material herausbringen würden, nur um unsere Social-Media-Kanäle damit befüllen zu können. Wir wussten, dass es uns Zeit kosten würde, Musik zu veröffentlichen, aber wenn wir es tun, dann zu unseren eigenen Bedingungen und nur dann, wenn wir das Gefühl haben, dass die Aufnahmen die Songs vor ihrer besten Seite zeigen. Und ich könnte noch mehr erzählen, aber um es kurz zu machen, wir wussten, dass wir nicht einfach nur eine kleine Band sein würden, sondern eine, die wahrscheinlich für lange, lange Zeit klein bleiben würde. Und trotz allem mussten wir groß denken. Andernfalls wäre es überhaupt nicht sinnvoll, das alles zu machen. Aber wie gesagt, Fehler werden immer Teil des Prozesses sein. Das Wichtigste ist, etwas von ihnen zu lernen. Habt ihr schon vor PIAH MATER Erfahrungen als Musiker gesammelt? Igor und ich gründeten die Band als Teenager, und obwohl wir schon vorher mit anderen Leuten gespielt hatten, war nichts davon so ernst und auch kein so großer Bestandteil unserer Persönlichkeiten, wie es PIAH MATER werden sollte. Wie genau läuft bei euch das Songwriting ab? Womit fangt ihr an? Normalerweise beginnt es mit einem Riff und von da machen wir weiter. Wohin es uns auch führt. Eine Sache, die wir nicht tun, ist, Musikstücke zusammenzusetzen, die separat geschrieben wurden, als ob man damit ein Puzzle bildet, das absichtlich kompliziert sein soll. Was man in den Aufnahmen hört, ist ein Produkt einer Idee, die zur nächsten geführt hat und so weiter, bis wir das Gefühl hatten, dass wir die Geschichte erzählt haben, die wir erzählen mussten. Mit „The Wandering Daughter“ habt ihr zuletzt eure zweite Platte veröffentlicht. Inwiefern findest du, dass ihr euch gegenüber eurem Debüt „Memories Of Inexistence“ weiterentwickelt habt? Die Erfahrung, ein erstes Album zu schreiben, zu produzieren und aufzunehmen, lehrt einen ein oder zwei Dinge über das Handwerk des Musizierens. „Memories Of Inexistence“ gab uns die Möglichkeit, jeden Fehler aus dem Buch zu machen und dann unseren Weg zu finden. Ich bin stolz darauf, was schließlich dabei herauskam, aber ich sehe die Mängel. Bei „The Wandering Daughter“ war der Prozess etwas vertrauter, aber es gab viele Aspekte, die für uns neu waren. Die Drums wurden live aufgenommen, der Bass und die Keyboards ausgelagert und insgesamt waren diesmal mehr als ein Dutzend Leute an der Produktion beteiligt. Viel mehr als die drei Leute, die dabei waren, als „Memories Of Inexistence“ in meinem kleinen Heimstudio realisiert wurde. Das waren sehr unterschiedliche Erfahrungen an sich und beide lehrten uns wichtige Lektionen über uns als Musiker. Die Texte erscheinen mir etwas kryptisch. Worum geht es inhaltlich auf eurem neuen Album? Gibt es da einen roten Faden, der sich durch das Album zieht? „Kryptisch“ ist das richtige Wort. Die Art von Texten, die ich am liebsten schreibe, dreht sich in der Regel um die Beschreibung von unheimlichen Landschaften und dunklen Gefühlen, meist basierend auf persönlichen Erfahrungen. Aber ich tendiere dazu, dies auf eine Weise zu tun, die es nicht zu offensichtlich macht. Ich bin kein Fan davon, zu viel preiszugeben. Es muss immer ein Geheimnis geben. Also forme ich den Text so, dass er ein Spiegel ist, der das widerspiegelt, was auf ihn projiziert wird. Jeder hat beim Lesen eine andere Perspektive, abhängig von den eigenen Erfahrungen in der Vergangenheit und den Kreuzen, die jeder zu tragen hat. Was das Konzept betrifft, so ist „The Wandering Daughter“ ein Album, das sich in der Außenwelt abspielt. In der grünen und feuchten Wildnis. Es geht um Selbsterkenntnis. Es geht darum, seinen Platz in der Natur zu finden. Über die Genesung nach einem verheerenden Verlust. Und auf der Makroebene um das richtige Gleichgewicht zwischen Fortschritt und Bewahrung zu finden. Alles in allem ist es ein von der Natur inspiriertes Album. Würdest du sagen, dass es auf eurem neuen Album einen Track gibt, den man als Höhepunkt oder Klimax der Platte betrachten könnte? Für mich fühlt sich der abschließende Track „The Meek’s Inheritance“ wie der Höhepunkt des Albums an und es ist wahrscheinlich der Song, mit dem ich im Moment am zufriedensten bin. Das Album wurde übrigens beinahe nach diesem Song benannt, so wichtig ist seine Bedeutung im Kontext des Storytellings. Welcher Song auf „The Wandering Daughter“ ist deiner Meinung nach am schwierigsten zu spielen? Es hängt vom jeweiligen Instrument ab. Aber im Allgemeinen, wenn ich ein Lied wählen müsste, wäre es wahrscheinlich „Sprung From Weakness“. Das Album scheint überaus positive Bewertungen bekommen zu haben. Hast du überhaupt schon eine negative Kritik über euch gelesen? Ja, wir sind sehr dankbar für das positive Feedback, das wir von den Leuten erhalten haben, die es gehört haben. Einen „Daumen hoch“ von Publikationen wie dem Decibel Magazine und dem Metal Hammer zu erhalten, ist für uns wirklich eine Ehre. Aber darüber hinaus ist die Wärme, die wir von den Menschen bekommen, die zu uns kommen und sich die Zeit nehmen, über ihre Eindrücke von dem Album zu schreiben, sehr erfreulich. Diese menschliche Verbindung ist für uns persönlich von großem Wert. Was schlechte Bewertungen betrifft, die wird es immer geben. Wir neigen dazu, das Konstruktive zu verinnerlichen und alles andere abzuschütteln. Aber insgesamt war es recht lohnend, sich das alles durchzulesen. Wir sind immer noch ein Haufen Neuankömmlinge in diesem Bereich und indem wir von den Leuten bewertet werden, können wir oft Dinge über uns selbst erfahren, an die wir vorher nicht gedacht haben. Aber ich glaube, dass es mit der Zeit ermüdend wird und ich werde irgendwann einfach aufgeben müssen, zu versuchen, zu entschlüsseln, was die Leute von mir wollen oder erwarten. Wir werden sehen. Ihr steht mittlerweile bei code666 unter Vertrag. Wie kam es, dass ihr gerade bei diesem Label gelandet seid? Die lange Tradition von code, im Laufe der Jahre mit hoch angesehenen Bands zusammenzuarbeiten, hat uns veranlasst, ihnen eine E-Mail zu schreiben, in der wir eine Zusammenarbeit vorschlugen. Zum Glück für uns waren sie interessiert und wir bekamen weniger als zehn Minuten später eine positive Antwort. Ein paar Wochen der Detailklärung vergingen und, siehe da, im Mai 2018 waren wir eine Band mit Vertrag. Was ist deiner Meinung nach der beste Aspekt an eurer Zusammenarbeit mit code666? Wir sind eine Band mit Sitz in Brasilien und nach allem, was wir wissen, lebt ein beträchtlicher Teil der an unserer Musik interessierten Menschen in Europa. Code überbrückt gewissermaßen diese Kluft. Es ist ein italienisches Label mit vielen Kontakten in der Region und seine Aufgabe war es, die Musik so vielen Menschen wie möglich in ihrer Nähe zugänglich zu machen. In Anbetracht der Tatsache, dass wir das, was von einigen in der heutigen Zeit als „totes Format“ angesehen wird – das wäre die physische CD – anbieten, denke ich, dass sie gute Arbeit geleistet haben, um uns etwas Aufmerksamkeit zu verschaffen. Wir sind jetzt definitiv nicht mehr so klein wie früher. Wie sieht es bei euch mit Live-Shows aus? Habt ihr diesbezüglich etwas geplant? Für die nahe Zukunft gibt es diesbezüglich leider keine Pläne. Aber alles kann sich ändern, wenn wir den richtigen Anruf bekommen. Zum Abschluss würde ich nun noch gerne unser traditionelles Metal1.info-Brainstorming durchgehen. Was fällt dir zu den folgenden Begriffen ein? Präsident Bolsonaro: In Brasilien ist Winter. Brutal Death Metal: Wenn Brutalität die Musikalität überschattet, was bringt das dann? 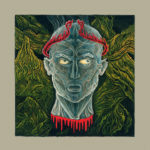 Außerdem kann man nicht brutaler werden als „Altars Of Madness“ und das ist 30 Jahre her. Bands, die das nur übertreffen wollen, um noch brutaler zu sein, sind wie ein Hund, der seinen eigenen Schwanz jagt. Musikalisches Highlight aus 2018: Zehn Tage in der wunderschönen Landschaft Schwedens zu verbringen und Musik für eine zukünftige und noch geheime Veröffentlichung zu schreiben. PIAH MATER in fünf Jahren: Nur die Zeit wird es zeigen. Hoffentlich haben wir mindestens zwei weitere Alben in unsere Diskographie aufgenommen. Vielen Dank für die Gelegenheit und vielen Dank an die Leser für das Interesse! Ich hoffe, bald mal mit euch zu sprechen.